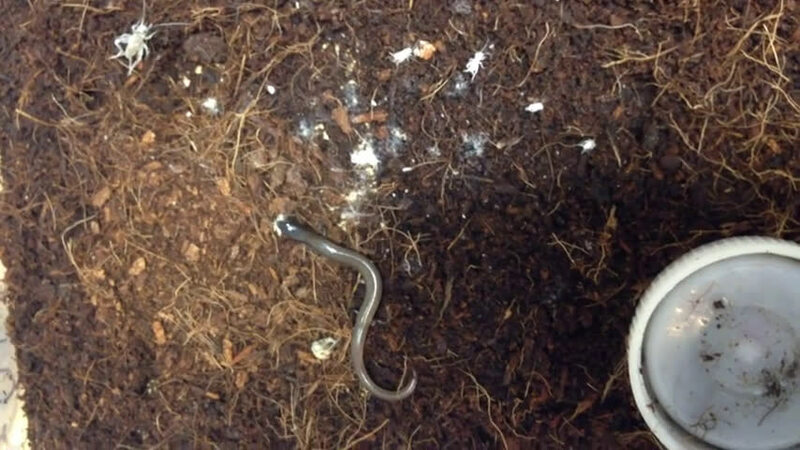 "It is a very unusual discovery," said Dr. Camilla Whittington, from the School of Life and Environmental Sciences and Sydney School of Veterinary Science at the University of Sydney. 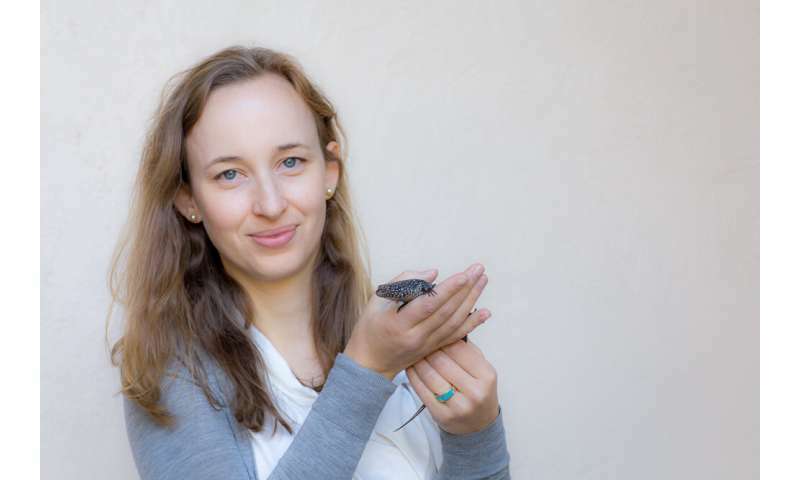 There are at least 150 evolutionary transitions from egg-laying to live-bearing in vertebrates said Dr. Whittington, who led the study alongside Dr. Melanie Laird, a postdoctoral researcher at the University of Otago, and Emeritus Professor Mike Thompson. 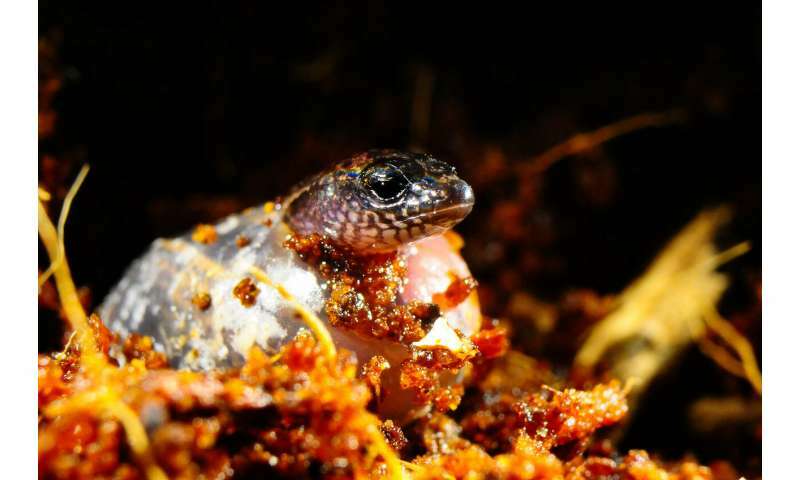 Dr. Whittington said that the unusual observation of both egg laying and live birth in a single litter shows that the three-toed skink is an ideal model for understanding pregnancy. "It makes Australia one of the best places in the world to study the evolution of live birth, because we can watch evolution in action," she said. Did the eggs hatch before after or around the same time as the live birth? Unquestionably the egg. There were amphibians before lizards. For that matter, fish lay eggs. Several other lizards are known to switch back and forth between live birth and egg laying. And amphibians, and in general the larger clade of stem vertebrates or at least fish - some sharks are especially known for this and of course we have the (male) birth in seahorses.